The final game for the 2016-17 season’s of the Wisconsin Badgers and Western Michigan is near. Both teams had fantastic campaigns with the Badgers going 10-3 overall with the heart-breaking 38-31 loss in the Big 10 Championship. 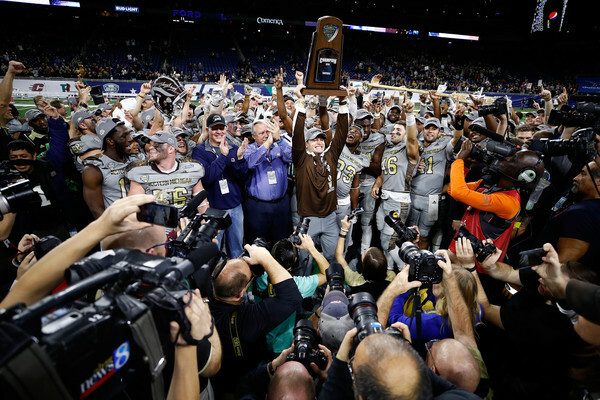 Western Michigan had a magical season in which they went 13-0 and won the MAC Championship. They defeated two Big 10 opponents on the road in Northwestern 22-21 and Illinois 34-10. Wisconsin is a clear step up in competition, but the Broncos will not be apprehensive in this contest. The Cotton Bowl will be played on Monday, January 2, 2017 at 1 PM Eastern Time and can be seen on ESPN. The game will take place at AT&T Stadium in Arlington, Texas, which is home of the Dallas Cowboys. Below is a preview of what we believe are the biggest keys to the game for both teams. 1. The Wisconsin Secondary – The Badgers’ secondary was constantly burned by Penn State in the Big 10 Championship game. However, that problem was evident prior to the Penn State tilt as noted against Georgia State, Purdue, and Minnesota. The Badgers have allowed 206.1 yards per game through the air and guys like Leo Musso, D’Cota Dixon, Derrick Tindal, Lubern Figaro, and Sojourn Shelton will need to improve. Western Michigan is led by quarterback Zach Terrell, who is both accurate and limits his turnovers. He has thrown for 3,376 yards (70.8% completions) with 32 touchdowns against only 3 interceptions. His main target, and the main threat against the Badgers porous secondary, is Corey Davis. Davis has 1,427 yards and 18 touchdowns on 91 catches while the second leading receiver, Michael Henry, has a respectable 61 catches for 760 yards and 4 touchdowns. If the Badgers have fixed their secondary leaks, hold Davis in check, and can force a turnover or two from Terrell, they will have a great chance at winning this game comfortably. 2. 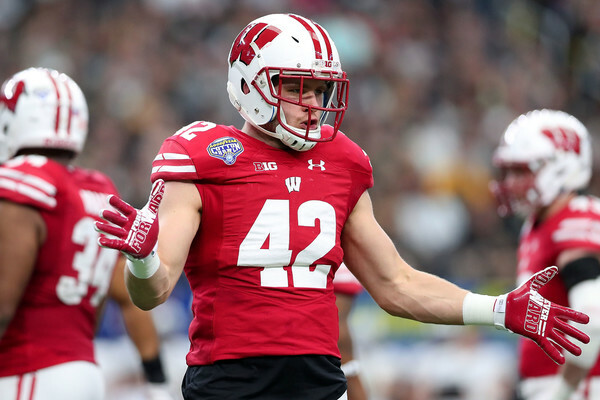 The Wisconsin attitude towards playing in the Cotton Bowl – The Badgers are coming off a tough loss in the Big 10 Championship game where they held a big 28-7 lead late in the second quarter only to see it slip away. How will the team react to that loss? They have had several weeks to recover from the sting of that game and this will be their first time playing in the Cotton Bowl. Wisconsin has also had some slow starts this year such as against Georgia State, Purdue, and Minnesota. If they start slow against an opponent like Western Michigan, who will be hyped up to play this game, the Badgers may find themselves in a close battle throughout this game. 3. Western Michigan needs to stop the Badgers’ rushing attack – We have harped on the Badgers actual and potential deficiencies coming into this game, but they have a serious advantage in the rushing attack against the Broncos defense. The Badgers average 204.5 yards per game rushing this year and since their 71 yard rushing performance against Michigan, they have averaged 231.4 yards per game. In the final 8 games, only twice did they not eclipse 200 yards rushing as a team: against Iowa (167) and Northwestern (190). They won both of those games. Between Corey Clement (1,304 yards, 14 touchdowns, and 4.5 yards per carry), Dare Ogunbowale (484 yards, 4 TDs, 5.6 YPC), Bradrick Shaw (457 yards, 5 TDs, 5.2 YPC), and Jazz Peavy (268 yards, 1 TD, 14.9 YPC), there are plenty of rushing options for Wisconsin. The Broncos rush defense allows 151.2 yards per game and 4.7 yards per attempt. The Broncos front four averages 6 feet, 3 inches and 272 pounds and they are going against an offensive line that averages 6 feet, 6 inches and 314 pounds. 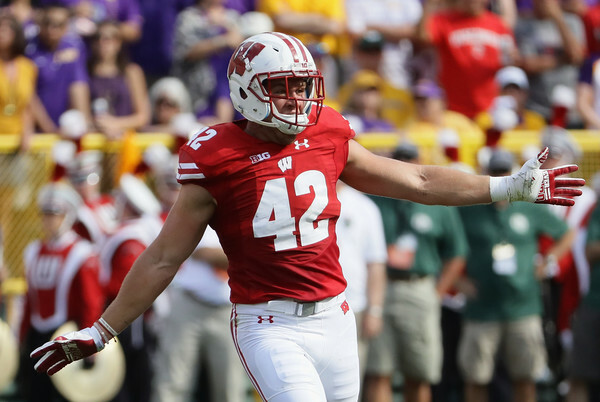 The Badgers have a distinct advantage and just like the Big 10 Championship Game, they will probably emphasize the run game early and quite often. 4. The Red Zone – Wisconsin’s offense has struggled in the final 20 yards converting just 34 touchdowns in 53 opportunities (64%). Overall, they have come away with points 45 out of 53 trips (85%). Their defense employs a bend, but do not break mentality allowing just 15 touchdowns out of 35 chances (43%) and points 27 of 35 times (77%). If Western Michigan is to win, they will need to score touchdowns instead of settling for field goals. Their offense has scored 47 touchdowns out of 65 trips (72%) and come away with points 62 out of 65 times (95%). The defense has allowed only 18 touchdowns on 30 red zone chances (60%) and allowed points on 26 of 30 trips (87%). A field goal battle will suit the Broncos better (see #6 below), but the Badgers offense will eventually wear down the defense. 5. Western Michigan will need to prep for both Quarterbacks – It appears that both Alex Hornibrook and Bart Houston will play in the Cotton Bowl. Hornibrook did not play against Penn State after he suffered a head injury against Minnesota in the November finale. Neither quarterback is overwhelming for the Badgers. Hornibrook has thrown 8 touchdowns against 7 interceptions while completing just 58.1% of his passes (1,243 yards on the season). Houston has thrown 5 touchdowns against 3 interceptions with a completion percentage of 65.9 (1,086 yards passing this year). The Broncos best chance will be when these two are throwing the ball. 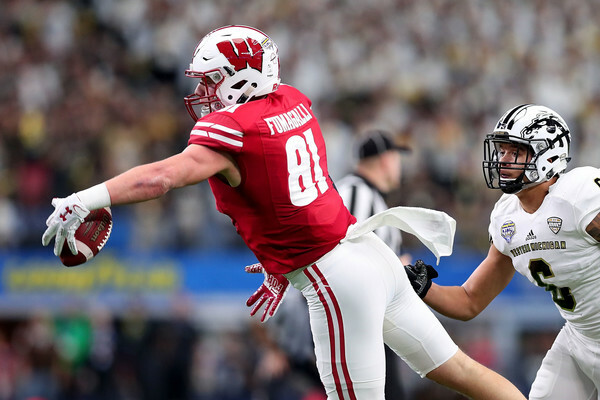 Whether it is forcing an interception, a fumble, or sack, Western Michigan has to do something to create more possessions and limit the amount of time the Badgers have the ball on offense. 6. Special Teams could be pivotal – There are many ways that special teams could impact a game. It could be a blocked field, a missed field goal, punt yards, or even return yardage. For field goals, Wisconsin has to be worried because Andrew Endicott has been shaky. He has connected on only 12 of 18 kicks with a long of 52 yards. Western Michigan feels solid about Butch Hampton and his 18 of 23, but he has a long of 47 and one kick was blocked. The Broncos use two punters with both averaging over 40 yards per boot. James Coleman has 25 punts with 15 fair catches and 9 inside the opponent’s 20 yard line. They have not had any punts blocked. The Badgers will rely on Anthony Lotti who averages 37.5 yards per punt with 12 fair catches and 24 inside the opponent’s 20 yard. Flipping the field will be important, especially if a drive stalls near midfield. The Badgers return game is another part of the team that is not overwhelming. They average just 6.8 yards per punt return and 20 yards per kickoff return. Wisconsin will have to worry about Darius Phillips, who averages 12.3 yards per punt return and 22.7 yards per kickoff return. He has both a punt and kickoff return for a touchdown. 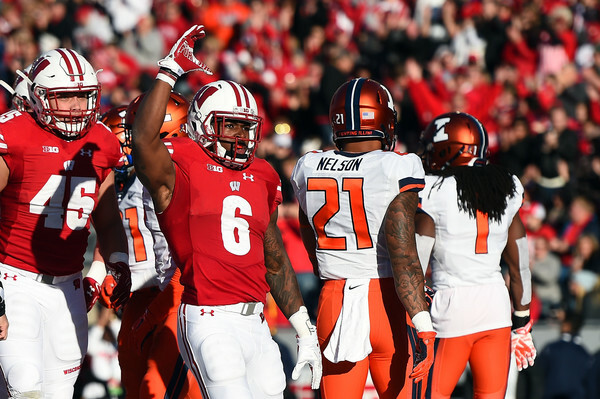 The Badgers’ kickoff coverage has been good this year, but has had the occasional breakdown. A big part will be P.J. Rosowski who has 47 touchbacks on 74 kickoffs for Wisconsin. Each team had a month to prepare for this game, which means plenty of things to practice that have been seen on film and off film. The Badgers will unleash their typical rushing attack and will have success against the Broncos. Western Michigan should have some success passing, but it will not be enough. We like the Badgers to win in their first Cotton Bowl appearance, 34-21.